Last Friday I had a nice surprise waiting for me. This cute package was at my door! pesticides and GMO's. It is a yogurt I can feel good about giving to my family! 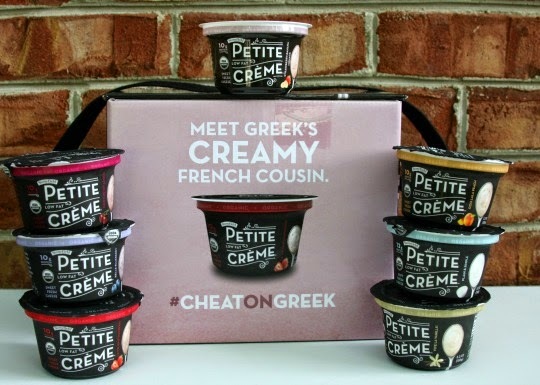 The new Petite Creme is high in protein, low in fat and oh so yummy! 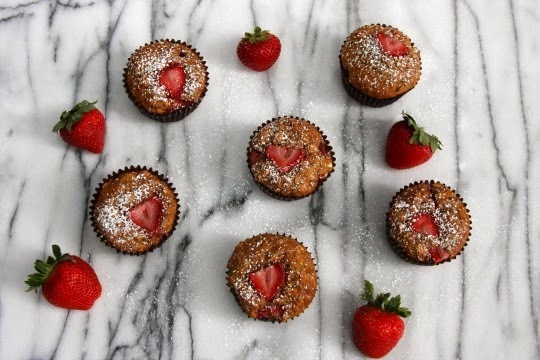 was just the inspiration I needed to make Strawberry Yogurt Muffins! Here is what you will need to make the muffins. The flour is not pictured since I grind my own as I need it. For this recipe I used Soft White Wheat berries. I use a large cookie scoop to evenly fill my muffin pans. I love they way they turned out! Fruity, healthy and so delicious! That way I have a healthy snack to take to work with me when I like. 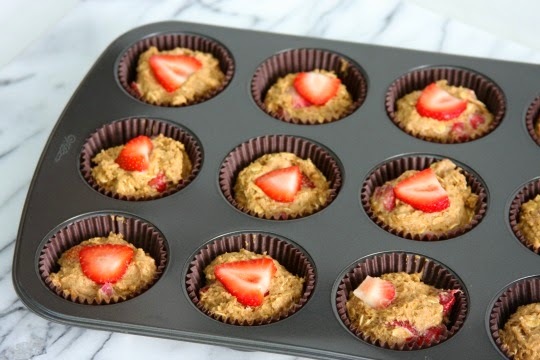 Preheat oven to 375 degrees and line a 12-cup muffin pan with liners. 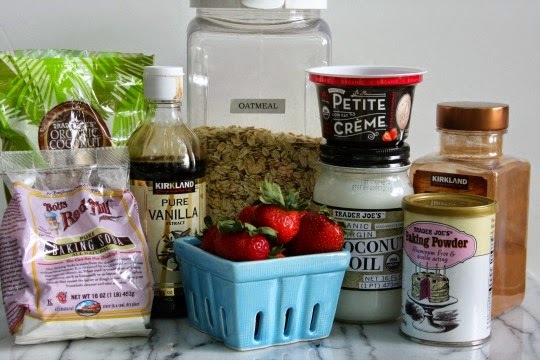 In a medium bowl, whisk together yogurt, egg, coconut oil and vanilla. Add the wet ingredients to the dry, mixing just until combined. Fold in diced strawberries. 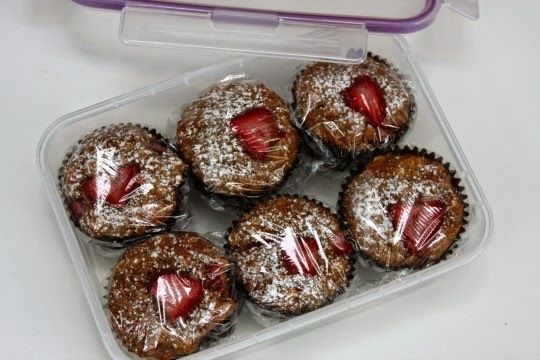 Using a large cookie scoop, fill evenly fill 12 muffin liners. 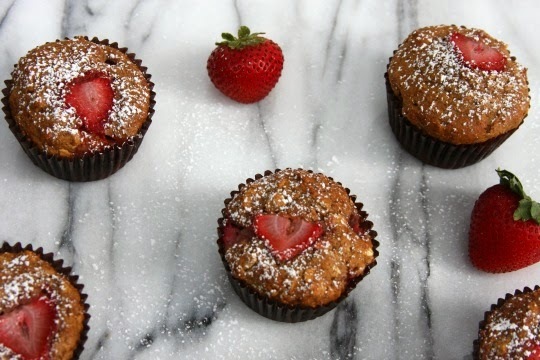 Place a berry slice on top on top of each muffin. Bake for 18-22 minutes or until a toothpick inserted comes out clean. Cool in muffin pan for 5 minutes before removing to a cooling rack. Sprinkle cooled muffins with confectioners sugar if desired. Disclosure - Stonyfield provided me with the Petite Creme Yogurt. All opinions are my own.